Rami Malek is currently promoting his highly anticipated new film 'Bohemian Rhapsody' on yesterday(September 18th) he attended the photocall at Hotel De Russie in Rome, Italy. Looking casually cool, he steppes out in a VALENTINO SPRING 2019 color-block jacket, a white button down shirt and brown ALL SAINTS pants with side pockets which he utilized. 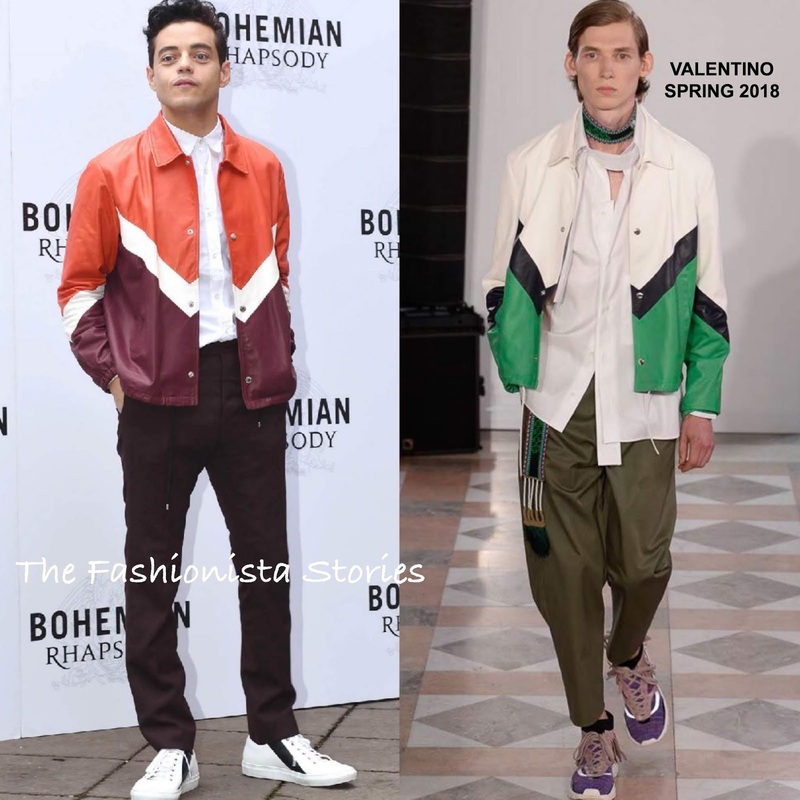 Rami's jacket was featured on the runway in a different color-way which is cute but I do prefer his. Her look was topped off with white AQUATALIA sneakers.